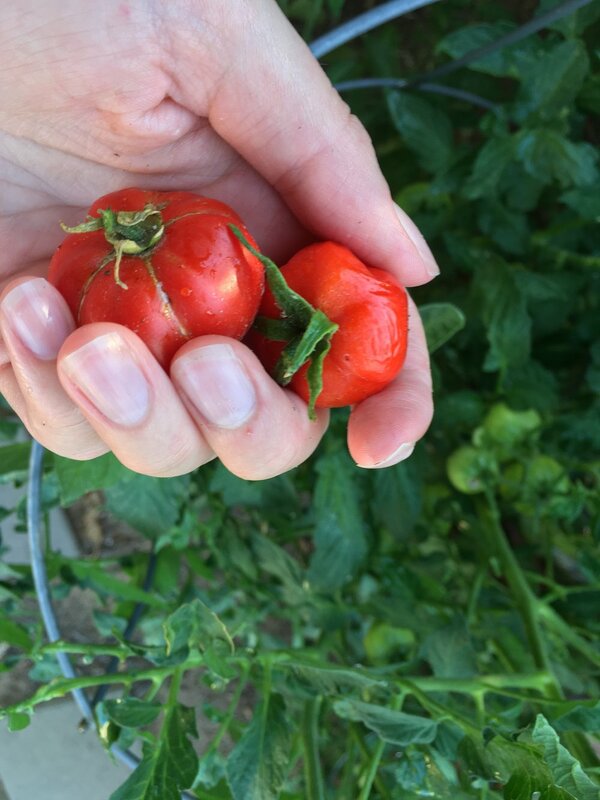 Our first couple tomatoes have ripened on the vine! And look at these gorgeous eggplants just begging to be picked, plus a few more green peppers. I sense another big recipe in the works.